here's a new pic of Iraq's EC 635 testing the new SAWS in south africa. others have been observed with DENEL laser guided ant tank missiles. In 2009 Iraq signed a EUR 360 million ($488 million equivalent) for 24 EADS Eurocopter EC 635 light twin-engine helicopters, plus training and maintenance. and another view in dunauworth in germany. MIDRAND, South Africa: Eurocopter, the world’s leading helicopter manufacturer, and Advanced Technologies & Engineering (ATE), South Africa’s aerospace systems integrator, have begun flight test firing a new Stand Alone Weapons System (SAWS) for light and medium helicopters. Initial test flights with the SAWS-equipped Eurocopter EC635 have taken place at the Murray Hill Test Range, a South African weapons test facility near Pretoria. The trials follow Eurocopter and ATE’s decision to jointly design, develop, manufacture and support a modern SAWS that can be installed on any of Eurocopter’s light and medium helicopter products. Eurocopter and ATE described the firing trials as the successful completion of the initial phase of the system’s flight test and development programme. The EC635 participating in the flight test programme is fitted with a Belgian FN Herstal HMP–400 12.7mm machine gun and a French Nexter NC-621 20mm cannon. The first phase of the trials involved firing the Herstal machine gun. This was followed closely by firing of the Nexter cannon. The initial EC635 SAWS configuration for International Customers will also feature Denel’s Ingwe Anti-Tank Missile. Integration of the missile is currently in its design and development phase at ATE’s state-of the art facilities in Midrand. Future weapons to be integrated on these helicopters include missiles and guided rockets of various international suppliers. “Eurocopter’s partnership with ATE on SAWS is a joint response to an increasing market demand for helicopters equipped with a suitably credible weapon system able to counter evolving threats and both current and future conflict mission scenarios. While we have proven capabilities producing multi-role military helicopters, ATE is unrivalled in weapon system development and sub-systems integration on fixed and rotary wing aircraft. This venture and our partnership make perfect sense,” explained Olivier Lambert, Eurocopter’s Senior Vice President Sales & Customers Relations. -- A core element including a Mission & Firing Control Computer, together with controls and components to interface the crew and the platform. -- A choice of sensors: FLIR, TV, HUD, HMSD. -- A choice of guided weapons providing the necessary flexibility for a given mission. -- A choice of unguided weapons. 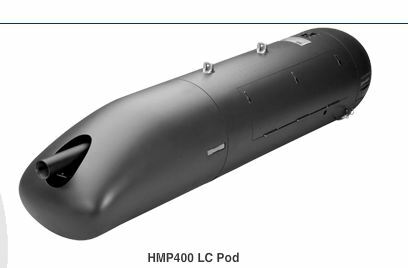 is a modern South African multi-role laser guided anti-tank guided missile (ATGM) manufactured by Denel Dynamics (formerly Kentron). The missile was designed to be employed in various roles, either by infantry or as a vehicle or helicopter mounted system for targets at ranges from 250 m to 5,000 m. It employs a tandem warhead to defeat up to 1,000 mm (40 in) of armour. In 2005 the missile's on board software was upgraded to be able to detect the launch platform and download the latest software, all at launch time. This enables the use of a single missile across all launch platforms. these are "mini-hellfires" that attack unarmoured targets 12km away. extends the range of missions (attack, close fire support, protection, self-defence) of the helicopters and lightest aircraft. It provides 20 mm firepower for carriers previously restricted to 0.50 weapons. The NC 621 has been developed around the 20 M 621 cannon which is well known for its high accuracy and which fires the 20 mm ammunition to the 20 x 102 international standard. The 20 x 102 mm shell delivers 6 times more explosive and generates 25 times more fragments than 12.7 mm ammunition, while recoil forces remain comparable. The effectiveness and reliability of the NC 621 has been widely proven on a variety of carriers. 28 october 2009 - After last September's order by the French Army for 15 helicopter SH 20 type retractable door mountings, the wide range of Nexter Systems weapons systems designed around the 20 M 621 cannon is once again successful thanks to 2 export orders. In the aeronautical sector, Nexter Systems has just received an order from Eurocopter for 16 NC 621 pods to equip EC 635 helicopters. The NC 621 pods may equip light planes as well as helicopters and is especially well suited for air-air and air-ground close range support fire, protection and self-defense missions. It remains the most powerful gun system, which may be integrated on a large variety of helicopters and planes. we have pictures of the 12.7mm pod, 20mm pod and INGWE missiles. But so far no picture of the laser guided rocket pods... (although it was reported that its been seen on an example in dunauworth). here's a cockpit view of an EC-635. its a glass cockpit with backup analogues. not bad. the April issue of Air Forces Monthly confirmed the delivery of the first 2 EC635T2, serial number 0931 & 0935, armed with Ingwe ATM, Nexter NC-621 20mm cannon & Herstal HMP-400 12.7 machine guns. Iraq signed a contract for 25 of this Light attack helicopters. some new Iraqi EC635s undergoing testing in Germany in April 2011.
some new Pictures of a pair of Iraqi EC 635s in Dunauworth. serials 9842 and 9843. Armed with the 12.7mm machine guns this time? it has been reported that 2 to 4 have been delivered to Iraq, but no visual confirmation. MFH! Thanks for that confirmation. That is indeed an EC635.